Over 100 years ago, the Russ family emigrated from Poland and sold caviar, smoked salmon, herring, and chopped liver from a pushcart. 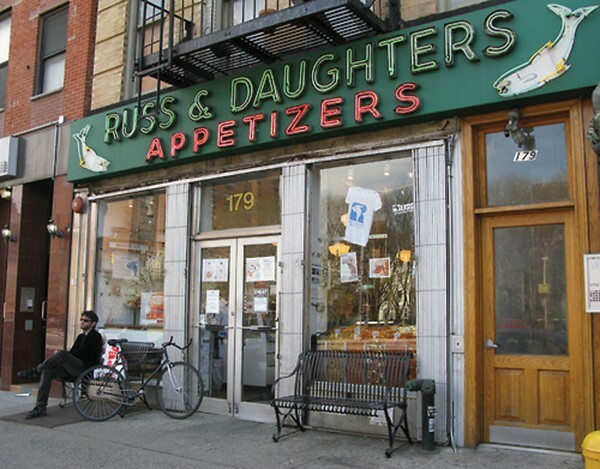 Today, Russ & Daughters, the family-owned "appetizing store," is a Lower East Side landmark for history buffs and foodies alike. Mark Russ Federman, the shop's former owner, recently wrote a memoir—Russ & Daughters: Reflections and Recipes from the House That Herring Built—filled with juicy details about the four generations of people behind the famed fish. Federman, the fourth guest in the Speaker at Temple Emanuel series, brings tales of his immigrant family, as well as six different types of lox, herring in various sauces, whitefish salad, and bagels to his afternoon "schmooze" in Ulster Park on June 9.